Trivia can be fun and interesting, especially when you are learning about something that is close to home. Whether you have diabetes or know someone who does, you might want to learn some interesting facts about this disease. Seeing how greatly treatment has evolved can be empowering. In addition, learning more about diabetes can help to increase your awareness and motivate you to take control. As the saying goes, knowledge is power. The earliest known written record that likely referred to diabetes was in 1,500 B.C in the Egyptian Ebers papyrus. It referred to the symptoms of frequent urination. Diabetes symptoms such as thirst, weight loss, and excess urination were recognized for more than 1,200 years before the disease was named. The Greek physician Aretaeus of Cappodocia (81-133 A.D) was credited with coining the term "diabetes" (meaning "flowing through" in Greek). He described a disease with symptoms of constant thirst, excessive urination, and weight loss. In the late 1850's, a French physician named Priorry advised his patients with diabetes to eat large quantities of sugar. Obviously, that method of treatment did not last, as sugar increases blood sugars. The role of the pancreas in diabetes was discovered by Josef von Mering and Oskar Minkowski in Austria in 1889, opening the door to research about the hormonal causes of the disease. In 1969-1970, the first portable blood glucose meter was created by Ames Diagnostics. It was called the Ames Reflectance Meter (ARM). Ames later became a part of Bayer. The device looked a lot like the tricorder devices used in the original Star Trek series. They cost about $650 and were only for doctors to use in their practices or hospitals. Portable blood glucose meters for home use by patients were not sold in the U.S. until the 1980's. Dr. Elliott P. Joslin, founder of the Joslin Diabetes Center, was the first doctor to specialize in diabetes and to encourage self-management. He became interested after his aunt was diagnosed and was told there was no cure and little hope. She died of diabetes complications not long after. His mother was diagnosed the year he started his practice in 1898 (a few years after the death of his aunt). He helped her manage her diabetes and she lived 10 more years which was quite a feat for the times. Dr. Elliot P. Joslin said diabetes is "the best of the chronic diseases" on account of it being "clean, seldom unsightly, not contagious, often painless and susceptible to treatment." In 1916, Dr. Frederick M. Allen developed a hospital treatment program that restricted the diet of diabetes patients to whiskey mixed with black coffee (clear soup for non-drinkers). Patients were given this mixture every two hours until sugar disappeared from the urine (usually within 5 days). They were then given a very strict low-carbohydrate diet. This program had the best treatment outcome for its time. Allen's work drew the attention of Dr. Elliot P. Joslin who used it as a basis for calorie-restricted diet study and treatment. Dr. Priscilla White pioneered treatment for diabetes in pregnancy. She joined the practice of Dr. Elliott P. Joslin in 1924 when the fetal success rate was 54%. By the time of her retirement in 1974, the fetal success rate was 90%. In 1921, Canadian scientists Frederick Banting and Charles Best discovered insulin and, with the aid of biochemist James Collip, were able to purify it for use in treating diabetes. Before 1921, starvation or semi-starvation was the treatment of choice. Type 1 and type 2 diabetes were officially differentiated in 1936. However, the difference had been noted in the 1700's when a physician noted some people suffered from a more chronic condition than others who died in less than five weeks after onset of symptoms. Back in the day, there were no blood glucose meters; blood sugar tests were performed exclusively with urine. In 1941, Ames Diagnostics used Clinitest effervescent urine sugar testing tablets to test urine. This meant mixing urine and water in a test tube and adding a little blue pill that caused a chemical reaction that could cause a severe physical burn injury due to extreme heat. The color of the liquid would indicate whether there was glucose in the urine. In 1942, the first oral type 2 diabetes medication was identified, a sulfonylurea (a medication that stimulates the pancreas to produce insulin). In 1963 the first prototype of a an insulin 'pump' that delivered glucagon as well as insulin was similar to a backpack and was developed by Dr Arnold Kadish. Today, there are more than 7 classes of oral medicines to help manage and treat type 2 diabetes. People with type 2 diabetes can also use non-insulin injectables, GLP-1 agonists for the treatment and management of Type 2 diabetes. In 2016, the Federal Drug Administration approved the first closed loop insulin delivery system called Minimed 670G system. In 2017, the first glucose meter without a finger stick hit the U.S. market. The Freestyle Libre System uses the latest technology to provide real time glucose readings every minute using a pre-calibrated sensor (you do not have to calibrate it with a finger stick, this is done in the factory). 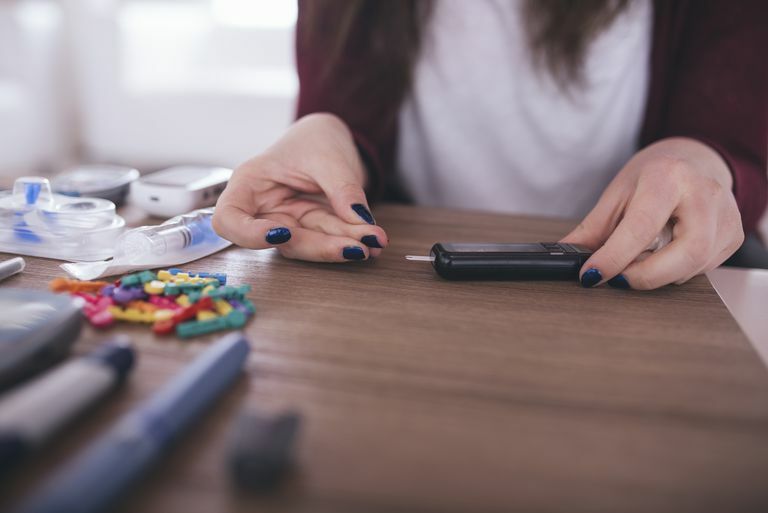 In 2018, the FDA approved the use of a new GLP-1 agonist, Novo Nordisk's Ozempic (semaglutide), as an adjunct to diet and exercise for the treatment of type 2 diabetes in adults. Semaglutide is the seventh GLP-1 agonist to be approved in the United States and the fourth once-weekly injectable to receive approval. According to the World Health Organization (WHO), the largest numbers of people with diabetes were estimated for the South East Asia and Western Pacific Regions, accounting for approximately half the diabetes in the world. 25. According to the WHO, around 422 million people are living with diabetes worldwide, nearly doubling the prevalence from 4.7 percent in 1980 to 8.4 percent in 2014. In the United States alone, an estimated 29.1 million adults and children are affected. World Health Organization. (2016) Global Report on Diabetes. Geneva, Switzerland: WHO. ISBN 978-924-156525-7. What the Heck Is Sugar Diabetes?